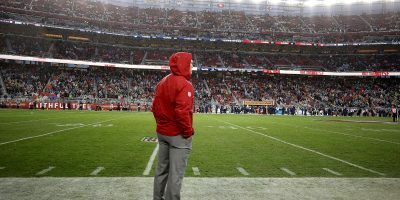 For a team tied for the second-worst record in the NFL, 2018 was far from a disaster for the 49ers, who are actually in a great position to improve dramatically in 2019. 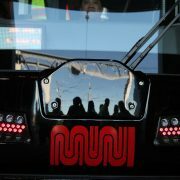 A large portion of San Francisco’s struggles were due to unforeseen derailment. They lost their newly-signed all-purpose running back during training camp, then lost their franchise quarterback just three games in. The defense, mainly the secondary, lacked any consistency working around frequent injuries. San Francisco 49ers’ quarterback Jimmy Garoppolo (10) launches a pass as the Jacksonville Jaguars face the San Francisco 49ers at Levi’s Stadium in Santa Clara, Calif., on Sunday, December 24, 2017. Both Jimmy Garoppolo and Jerick McKinnon will be back, expectantly by the the time the regular season begins. The health of the backfield mates will immediately turn an average offense into a potentially great one. 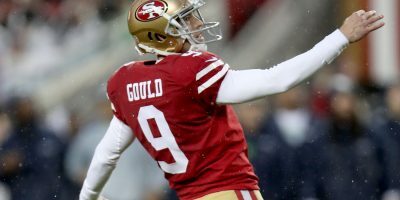 Head coach Kyle Shanahan received the praise of many for getting more out of Nick Mullens than anyone thought possible. The running game was also incredibly effective despite operating without a “go-to” running back. 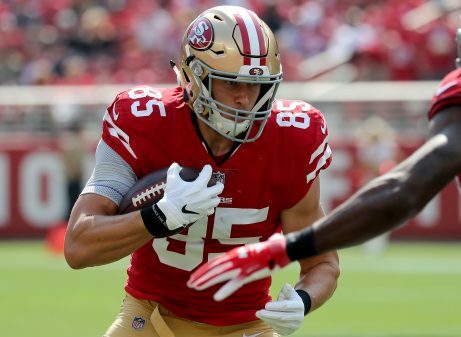 George Kittle’s historic season made him arguably the best tight end in football — not because of the numbers but because of the extreme inconsistency at quarterback that he was able to succeed through. And rookie Dante Pettis’ late-season emergence proved his ability to be a legit number one receiver in the mold of a Desean Jackson. Defensively, those injuries may actually work in the 49ers favor. Rookie defensive backs Marcell Harris, D.J. 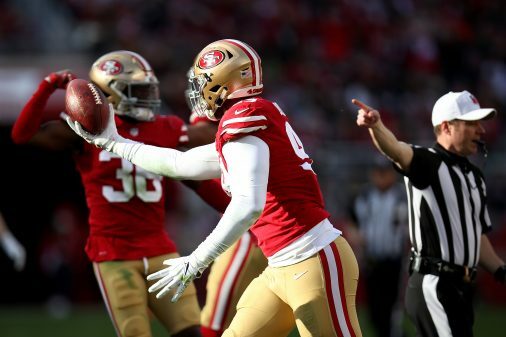 Reed and Tarvarius Moore got valuable playing time, impressing veteran Richard Sherman in the process. An offseason combined with some pro experience should go a long way for those guys in 2019. 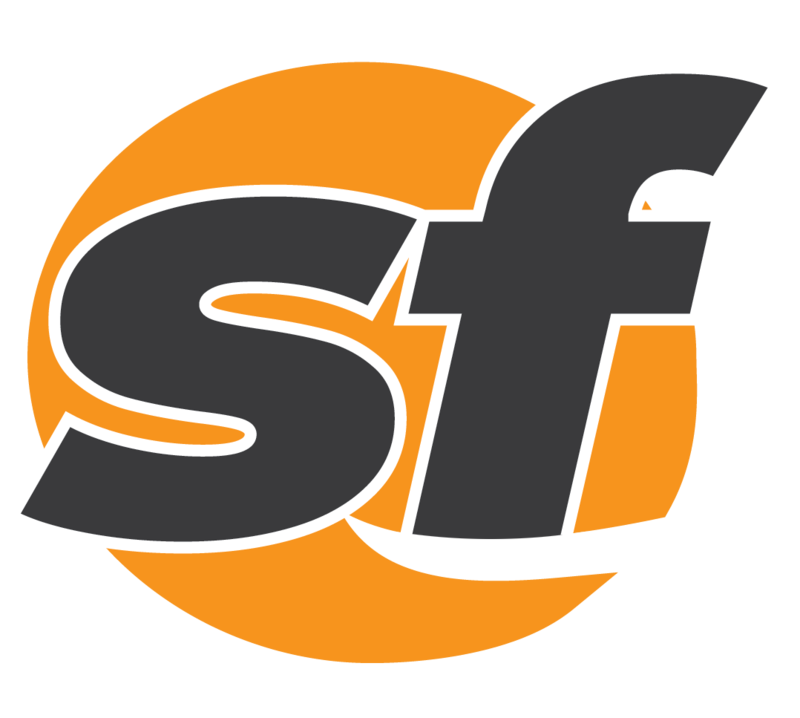 San Francisco also had to cut the problematic Reuben Foster. 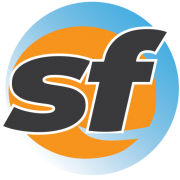 Rookie Fred Warner provided GM John Lynch with an in-house replacement. 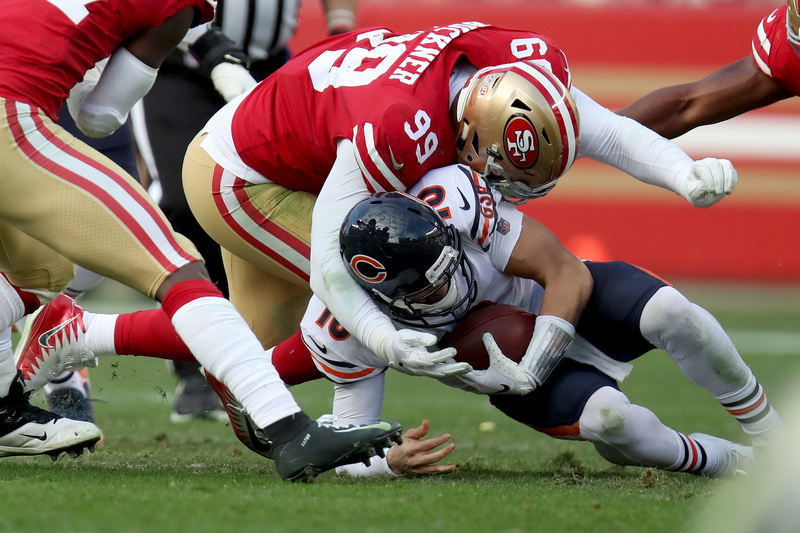 A 49ers linebacker hadn’t recorded at least 100 tackles since NaVorro Bowman had 154 in 2015. Warner had 124 in his first NFL season, nearly twice as many as the next highest total. His six pass break ups were second on the team behind Antone Exum Jr.’s seven, showing his ability to make some plays in pass coverage. And as an added bonus, Warner played all 16 games. 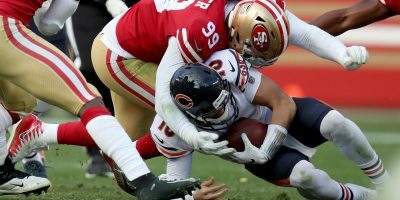 San Francisco 49ers’ DeForest Buckner (99) recovers a fumble as the Chicago Bears face the San Francisco 49ers at Levi’s Stadium in Santa Clara, Calif., on Sunday, December 23, 2018. 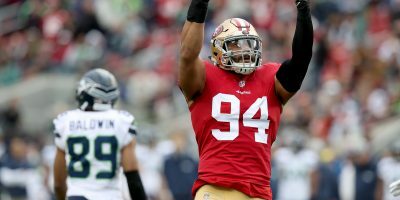 DeForest Buckner became an elite interior lineman in 2018. His 12 sacks were not only a personal best but they were also the second-most for a defensive tackle behind superstar Aaron Donald’s incredible 20.5. However, Buckner’s ascension was not simply attributable to his sack number. 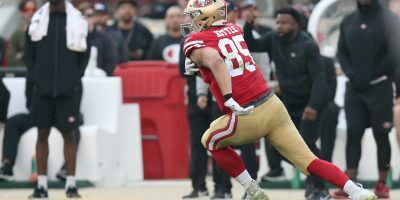 He also played the run and short pass game very well, compiling the third-most tackles (67) of all defensive linemen, trailing Jacksonville’s Calais Campbell (72) and Minnesota’s Danielle Hunter (71). 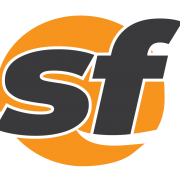 Where San Francisco really struggled was in defensive playmaking and ball security. 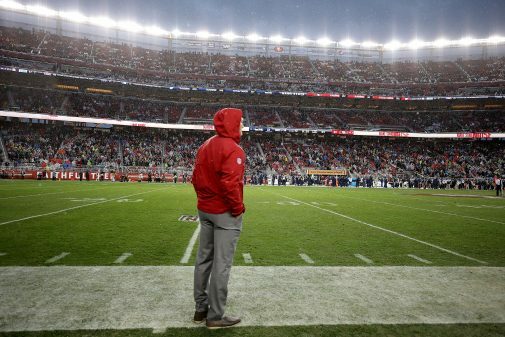 The 49ers’ minus-25 turnover differential was by far the worst in the NFL. They were the only team that didn’t crack double digits in takeaways. And their 37 sacks were tied for seventh-fewest. This odd, juxtaposed reality is where San Francisco currently resides. 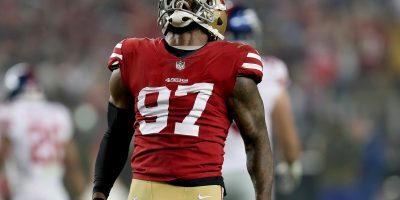 They could have reasonably been an eight- or nine-win team if Garoppolo and McKinnon never got hurt, but because they did they’ll now have the second pick in the draft. Along with that high draft pick they’ll also be able to sign a difference-maker or two in free agency. According to Spotrac, they’re projected to have the ninth-most cap space in 2019 at just over $53.5 million. Regardless of the method used, the 49ers need guys who can make exceptional plays on defense. 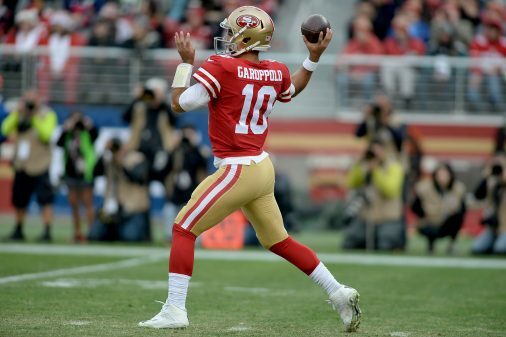 The offensive turnover issue will be mostly resolved once Garoppolo returns. The defense has to give the ball back to him more than seven times in a season.